Is there something wrong with your cat that means you have to give them pills? Never give a pet a pill unless a professional veterinarian recommends it, because you could potentially do more damage than good. 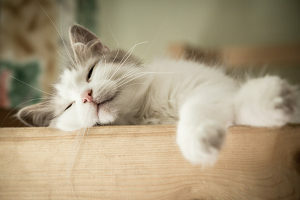 A cat’s immune system is a lot more sensitive than a human’s, so dosing them with medication without the permission of a professional can be dangerous. The first thing you do, then, it to make sure that the pill you want to give your cat is the recommended variety. Different veterinarians will sometimes recommend different pills for the same ailments, so it’s a good idea to do some research before choosing which path to take. Cats and dogs are not going to simply swallow a pill along with a glass of water like a human does. 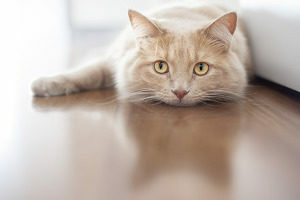 Prepare yourself for the difficult task of giving your cat a pill by following instructions and figuring out the potential complications of doing so. When attempting to give your cat a pill, one of the first things you need to do is make sure you are in the right mindset. Animals can sense our feelings, so if you’re feeling stressed and anxious about giving them a pill they will tune into this negativity and things will become much more difficult. Keeping calm is one of the best things you can do when learning how to give a cat a pill. There are a few different methods you can try, and one of them will definitely work. If your first try doesn’t work, be patient and try again. If the method itself is problematic, simply try a different method. One method of giving your cat a pill is to simply let them know what you’re doing. Make sure both you and your cat are relaxed. Confine them to one small room so they can’t run away. However, make sure you don’t frighten them. Act as if you’re simply enjoying time in this particular room, don’t alarm them to the fact that you’re essentially restricting their movement. A carpeted room is perfect because the soft carpet will contribute to the (hopefully) relaxing vibe you’re giving off. Keep them calm, talk to them in a soft voice, and pay attention to them. Next, wrap them in a towel, making sure that the head is free. Maintain your calm voice and gently pry their mouth open in such a way that their head is slightly tilted. Then you simply drop the pill into the mouth and quickly close it. This method isn’t for the faint hearted because the cat will try to get the pill out of their mouth and you have to remain strong and steady in order to keep it closed. For this method it’s important to have a strong relationship with your cat. This method isn’t recommended if you are a new cat owner as you have yet to fully establish trust. If you’re not too keen about this method, there are other ways of caring for your pet in this manner. An easier method is to simply mix the pill in with your cat’s food. This can be very effective if you mix it in well and add something tasty in with their normal meal. However, cats can sense the alien object in their food, so the success of this method depends on how hungry your cat is. If your cat is a fussy eater and is very stubborn with regards to their food expectations, you may have trouble with this one. Still, this method will usually work if you leave the food out long enough. A lot of it depends on how strong your will is, because you might have to wait until your cat is really hungry. Use your common sense. Don’t wait a week for them to eat it, but don’t give in in a matter of hours either. Leave it out for the duration of one regular mealtime before trying a different method like hiding it in their treat.